At Gallivant we love cycling and getting around on two wheels, but we don't call ourselves cyclists. Gallivant is not just for "cyclists" - it’s for people who want to roam further and discover the world on 2 wheels. Gallivant isn't just a place to buy cycling stuff, it is also a source of ideas, inspiration and community. 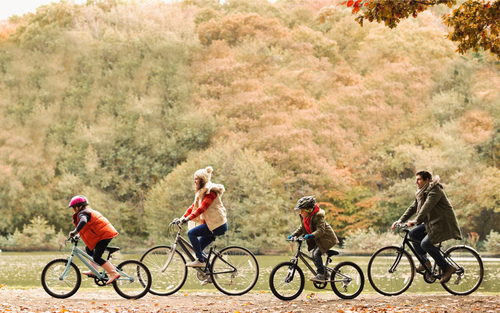 Whether it's sharing routes and things to do or finding fascinating products from smaller, often overlooked brands – it's about giving people more reasons to spend time on their bikes. At Gallivant we support independent bike brands because we believe that some of the best, most innovative products come from smaller, lesser known businesses. Gallivant gives smaller cycling related businesses a platform to market their products, benefit from a scalable, relevant audience, tell their story and increase their brand awareness. Our brand partners make unique products aimed at people who understand that cycling is about more than just the bike – it is the feeling of freedom and possibilities. From clothing to art to tech, Gallivant brings together a wide range of wonderful cycling products in one curated marketplace. It aims to bring the joys of cycling into all aspects of people’s lives, by putting them in touch with products that are too wonderful to have ever been found in large bike retailers. Customers have the opportunity to customise and enhance their cycling experience whether it be daily commuting or weekend cycles with the family. This press release was distributed by ResponseSource Press Release Wire on behalf of Andrea Sexton PR in the following categories: Leisure & Hobbies, Sport, Retail & Fashion, for more information visit https://pressreleasewire.responsesource.com/about.